The Country Music Hall of Fame and Museum will present an in-depth interview with veteran producer and songwriter Keith Stegall at 1:30 p.m. Saturday, March 21, in support of the exhibition Alan Jackson: 25 Years of Keepin’ It Country. Jackson credits his longtime producer with helping create his musical persona. Museum Writer-Editor Michael McCall will host Producer Playback: An Interview with Keith Stegall in the museum’s Ford Theater. Stegall will discuss his career and work with Jackson. The interview will be illustrated with photographs, film clips, and sound recordings from the museum’s archives. Other newcomers who found success after collaborating with Stegall include Tracy Byrd, Terri Clark, Jamie O’Neal, Randy Travis, Mark Wills, and the Zac Brown Band. Grammy winner Stegall has also worked with George Jones, Reba, Aaron Neville, and Uncle Kracker. 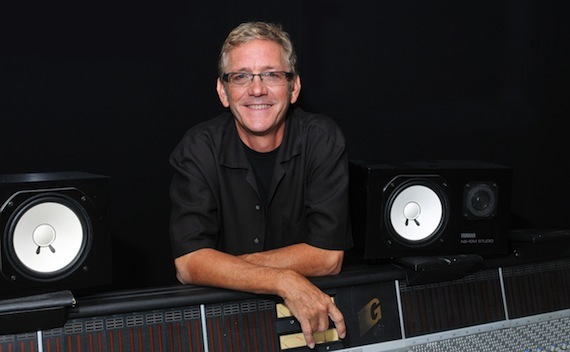 In his many years on Music Row, Stegall has been an artist, a label executive, and a songwriter. He has written hits for Jackson, Dr. Hook, Al Jarreau, Kenny Rogers, George Strait, and Travis Tritt. The program is included with museum admission and is free to museum members. Visit countrymusichalloffame.org for complete admission details. The program will be streamed live at countrymusichalloffame.org/streaming.